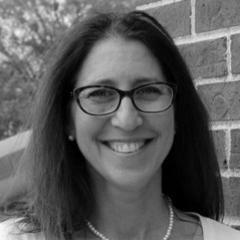 From one of the leading experts specializing in sexual abuse awareness and prevention, goal setting, and character building. 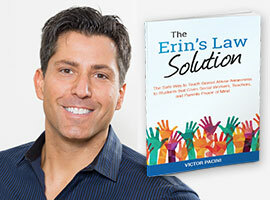 Get Victor's e-book and learn how to appropriately and effectively implement "Erin's Law" for your students and staff! 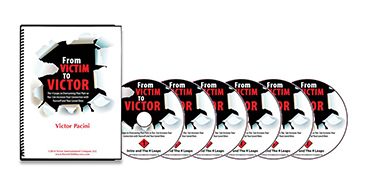 Victor Pacini is one of the most sought after speakers and trainers on the topics of sexual abuse or Erin’s Law for children. Victor Pacini understands the delicate nature of abuse. Not only is he a survivor of sexual abuse, but his sister was murdered in 2001 due to domestic violence. 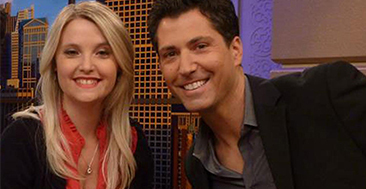 His dynamic Erin's Law curriculum has been delivered to over 750,000 children and parents. He’s been referred by school administrators as, “The most unique and effective presenter of sexual assault awareness.” He is the author of Winning Within, There’s Only One You, Be Seen and Heard (Erin’s Law Content), Your VOICE, My Dreams, and has recorded two music CD’s. 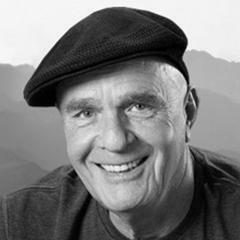 Victor caught the inspirational eye of Dr. Wayne Dyer, and was asked to sing during his Power of Intention tour. Wayne said, "Victor, you did a great job with my audience. 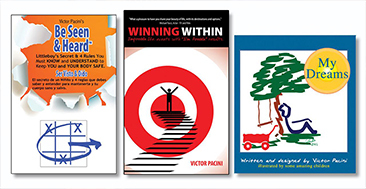 My granddaughter loved your book.” Victor is respectfully known for designing engaging and entertaining presentations and products on the topics of confidence building, character building, goal setting, anti-bullying, and child abuse training. His ultimate goal is to help children and parents increase their knowledge and awareness about the topic of sexual abuse and domestic violence. He does this by delivering it from a fresh and positive perspective. This perspective skyrockets self-confidence and increases the parent-child connection without being disingenuous and insensitive. His audiences have included the Illinois PTA, Cebrin Goodman Teen Institute, Kansas PTA, Indiana PTA, National PTA, Abbott Labs, WINGS (Domestic Violence Agency), and schools all over the country. Dedicated to helping students understand the importance of setting goals, following their dreams, and never giving up despite the challenges they might face. Delicately raising sexual abuse awareness and giving children a voice to speak up! 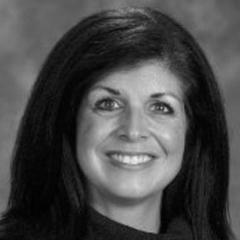 Erin’s Law Programs are available for students, staff, and parents. "It's a breath of fresh air to have Victor do his Erin's Law presentation for our students. He knocked it out of the park. From staff to parents to students everyone is begging me to book him for next year." For booking info, click here. “You did a wonderful job with my audience. My granddaughter loved your book. Teach only love!" For booking info, click here. “The feedback that I received from my teachers was outstanding and with the large building and 44 classrooms not to hear any complaints and only praise speaks volumes!" For booking info, click here. Ready to fulfill your Erin’s Law Mandate? If you are looking for an effective, easy to use curriculum that not only fulfills the Erin’s Law Mandate, but delivers a difficult topic in an educational, engaging, and enjoyable way, then look no further. This is the Be Seen and Heard© online experience.